Available for summoning during the Vengeful Demon's Wail event. Decrease other allies' Debuff Resist by 10%. Increase your NP Gauge gained when hit by 20%. Gain 3% NP Gauge per turn. 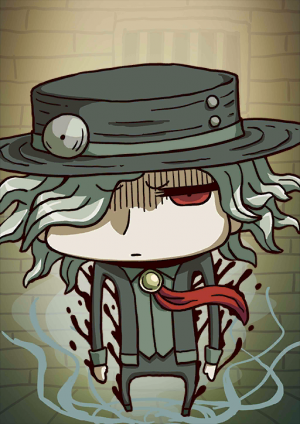 When equipped on Edmond Dantes,Increase party's Quick Card effectiveness by 15% while he's on the field. The world's most well known seeker of vengeance. Known as "The Count of Monte Cristo." Entrapped by a cruel plot and convicted of a crime he din't commit, he was sent to the nightmarish Château d'If. His iron will kept him from falling into despair, and with the treasure of Monte Cristo island in hand he returned to Paris. There he exacted a terrible revenge upon the city's most influential people who had betrayed him to become so. Origin: Dumas Novel "The Count of Monte Cristo" ? His favorite phrase is "Attendre et espérer," which translates to "Wait and hope." His dreadful life, his path of vengeance, his devotion to his beloved Mercédès, his struggle and regret, and finally his path to repentace... It is a story beloved by the people of France and the world that features him as the "World's Greatest Seeker of Vengeance." 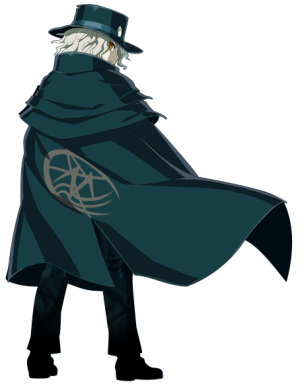 His True Name is Edmond Dantès, but he considers himself a diffrent person than the "Edmond Dantès" who was a sailor in Marseille. He is the personification of vengeance itself. He doesn't belong to any single class, and is summoned as an Extra Class, Avenger. 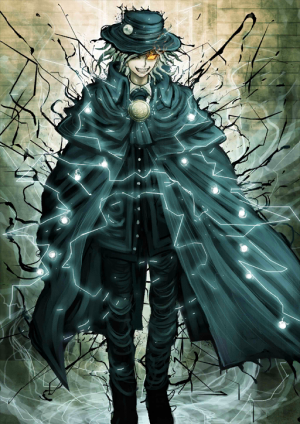 When he materializes as an Avenger, the tales of his lifetime have been elevated to the status of Noble Phantasm and grant him a superhuman physique. 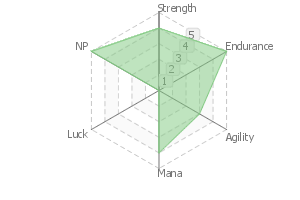 In addition to his physique, he can use magical energy to attack and conceal his own stats and class. This Noble Phantasm is constantly active. It has an extra effect when his True Name is realeased, but is not used in this game. The manifestation of his iron will, trained within the hellish Château d'If. He can escape not only the prison of his body, but also the formless prison of time and space. By accelerating his thought processes and forcing his body to reflect them, he can move at incredibly high speeds. To those observing his movements, it might look like he has the ability to stop time. In this game, his high-speed movements enable him to create clones and attack multiple times simultaneously. Clear Interlude: "Nightmare; or, the Call of Love and Hate"
I am the Count of Monte Cristo. I know neither love nor compassion. Until I burn everything to cinders, I will remain an Avenger, fueled by hatred and vengeance to make myself a brightly burning black flame or rage. The individual known as the world's most prominent avenger. Popularly known as the "King of the Cavern" or the "Count of Monte Cristo". Although imprisoned on the hellish If Tower (Chateau D'If) due to a false charge derived from an unscrupulous conspiracy, he did not fall in despair thanks to a mind of steel, and the story goes that he eventually acquired the treasure of the Monte Cristo island and swooped down upon Paris-- dragging down many leading figures that reigned over France - that is, the people who once deceived him - into hell. The stern way of life; the revenge tragedy that concealed his identity; the love and covetous affection towards his lover Mercedes, who was trampled on and snatched away; and the journey that resulted in his reform due to anguish and regret are applauded by the people - not only from France, but from all over the world - and he is remembered as "the most famous avenger in the world". 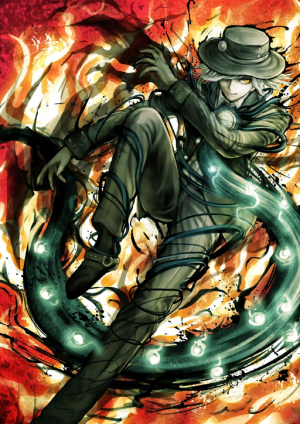 His True Name is indeed Edmond Dantes, but he perceives himself as a different person from the "Edmond Dantes" who was a seaman from Marseille. 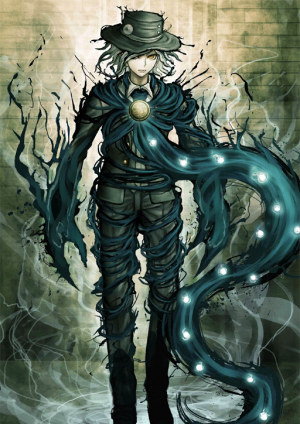 The reason being that "Edmond Dantes" abandoned his evil nature at the end of the gruesome revenge tragedy in Paris... "but I, who manifested as a Servant, continue to be the "Image of the Demon of Vengeance". In that case, I am not Edmond" - or so he says. He is the incarnation of vengeance. 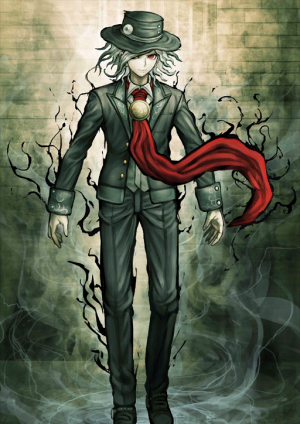 Not coming under any sort of Class, the body that manifested as the extra class Avenger was converted into a Noble Phantasm that sublimated that way of life. Attacks by means of a tenacious body and magic power. It is also possible to conceal his parameters and class, displaying false information. A continuously invoked-type of Noble Phantasm. There is also another effect for when releasing the True Name, but it is not employed in this work. The mental power of steel fostered in the hellish Chateau D'If converted into a Noble Phantasm. Not to mention the body, the King of the Cavern escapes even from abstract prisons such as time and space. By performing super high-speed thinking and forcibly reflecting that on the body, he subjectively realizes a super high-speed action that makes it seem like a "time halt" is being employed. In this work, it takes the shape of a simultaneous multi-attack by means of the "offshots" resulted from the high-speed movement. "I am the Count of Monte Cristo (King of the Cavern). Unknown to love, unknown to compassion, established as the black flame of grudge that blazes itself dazzlingly only by means of hatred and vengeance; nothing but an Avenger who rages until he turns everything to ashes. 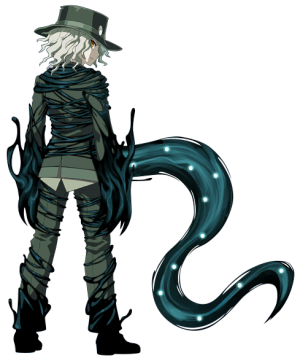 My beloved mistress (Haydee) is nowhere in this world, so this body shall remain a demon of vengeance for all eternity--"
Edmond Dantes' has often been compared to Komaeda Nagito from the Danganronpa series, due to their similar appearances and their status as servants. Château d'If is the name of the Prison Tower. 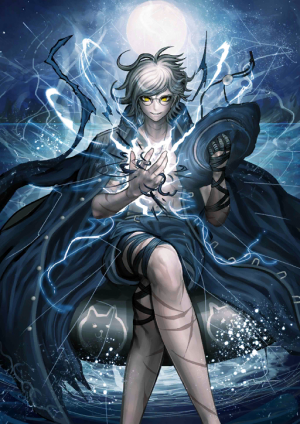 First servant in the game that doesn't need Ascension Pieces/Monuments or Special Ascension Items (e.g. Twinkle Candy) to ascend, a trait future Avengers share. First servant in the game to have no Luck stat. 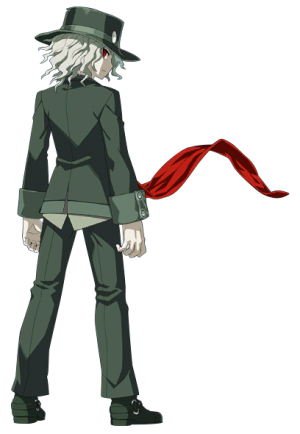 The phrase "wait and hope" from The Garden of sinners - the Garden of Order is a reference to what he said in the original The Count of Monte Cristo novel. 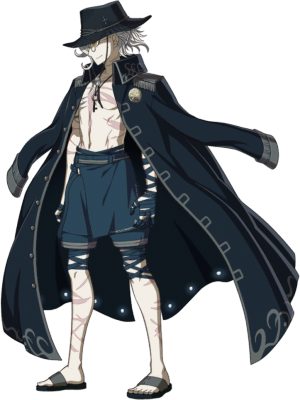 He received a full animation update with the Servant Summer Festival event, in addition to his summer Costume Dress. This page was last modified on 28 January 2019, at 06:42.